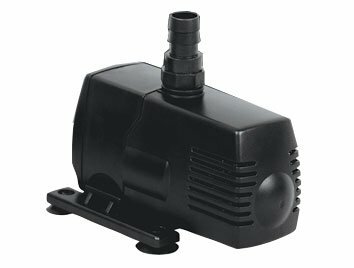 These submersible water pumps are great for everything from fountains to hydroponic systems. The pumps have an inside threaded fittings and the flow is non-adjustable. Powerful oil-free, rare earth rotor magnet. Ceramic shaft and bearing insures reliability. Trouble free one moving part. Strainer protects impeller from damage. Comes with a 120 volt cord. Include inlet and outlet fittings. One year manufacturer warranty.